Here are some things to consider when planning out your home's new sprinkler system. While it’s hard to argue against the convenience of a residential irrigation or sprinkler system, new homeowners may be put off by the somewhat steep upfront costs involved with having one professionally installed. But this is a decision that should not be postponed until later. Instead, you should decide as you plan your new construction or custom home whether to install a sprinkler system, as the optimal installation time is before the lawn and garden areas have been planted. We have compiled some of the primary advantages and challenges of installing and maintaining an irrigation system to help you make an informed decision as you finalize plans with your builder. Primary factors that can increase installation costs include larger lots, slope of the yard, type of landscaping, number of sprinkler zones required, type of soil to be excavated, type and brand of components selected and any local permits that may be required. Overall convenience—Not every homeowner relishes the thought of manually watering lawns and gardens with a hose or physically relocating sprinklers every few minutes to ensure proper coverage. The ability to “set and forget” a predetermined watering schedule is usually the biggest benefit to irrigation systems cited by homeowners. Automated frequency and duration—Not every section of a home’s lawn and garden areas will require the same amount of water or need to be watered on the same schedule. A properly programmed irrigation system helps ensure each watering zone receives the optimal amount of moisture required for the specific plant types included. This helps to avoid both under and over watering issues and to maximize overall water usage. Enhances resale value—In addition to counting as an upgrade feature for a new home, a properly installed system helps ensure a more attractive exterior appearance with healthier lawn and garden areas bolstering the home’s curb appeal. Initial costs—New homeowners with tight budgets may not be able to include an irrigation system in their plans even though the optimal time to install one is when the landscaping is installed. Required repairs and maintenance—Irrigation systems will require routine repairs and maintenance for proper function. Sprinkler heads can shift out of alignment and may become damaged over time. Pests and intrusive tree roots may damage underground water pipes leading to costly repairs and damage to the lawn when it has to be excavated. Irrigation systems located in states that experience hard winter freezes will need to be winterized by having residual water blown out to avoid cracked pipes. All required local and county permits are obtained prior to installation. The installation team maps all exterior lawn and garden areas requiring irrigation and subdivide them into individual watering zones. This allows the installation team to properly plan out underground piping routes and calculate how many, and what type, of sprinkler heads will be required for proper coverage. Underground trenches are excavated so water pipes can be buried 1 to 2 feet below the surface. Valve boxes are installed along with the pipes to allow for individual watering zone coverage. An assortment of sprinkler heads are then attached to the water supply pipes and will be level with the lawn. The type of sprinkler head depends on the type of lawn or garden it will irrigate. All water supply pipes are then channeled to a primary water source attached to the home. The final step is to attach the irrigation system to a master controller unit, which, depending on the model selected, will allow the homeowner to control watering frequency and duration by each individual irrigation zone. Once an irrigation system is fully operational, it will be necessary to program the master controller unit to ensure each watering zone is set for the type of vegetation it has been designed to water. This is the ideal time to consult with local lawn and garden experts to determine the correct watering duration and frequency for the different lawn and garden zones. To test the duration time, you can set out measuring cups within each watering zone and run the entire system for 15 minutes. Take note of how much water was collected in each cup and program the controller for the proper duration by zone. Pay close attention to each watering zone as you program the controller’s timers as it is unlikely the needs of your lawn will match those of the various plants within the garden zones. A correctly programmed controller is vital to ensuring properly irrigated lawns and gardens as well as maximizing savings on your monthly water bill. While upfront installation costs may deter some new homeowners, most enjoy the convenience and efficiency an irrigation system can provide when properly installed and programmed. 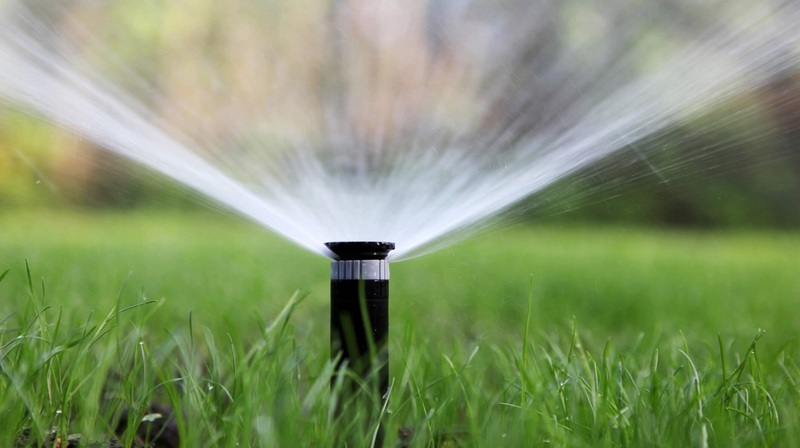 It is important to remember that the best time to install an irrigation system is before any lawns or gardens have been planted as ground excavation will be required. 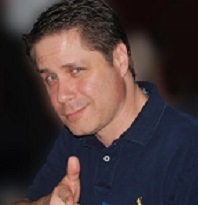 Brian Ford spent more than a decade working in the specialty appliance retail industry and now devotes his time to freelance print and video content creation.